He’s very sweet. Great photo. I feel like I am right there in his world. Thank you! I may try to go out again today or tomorrow. 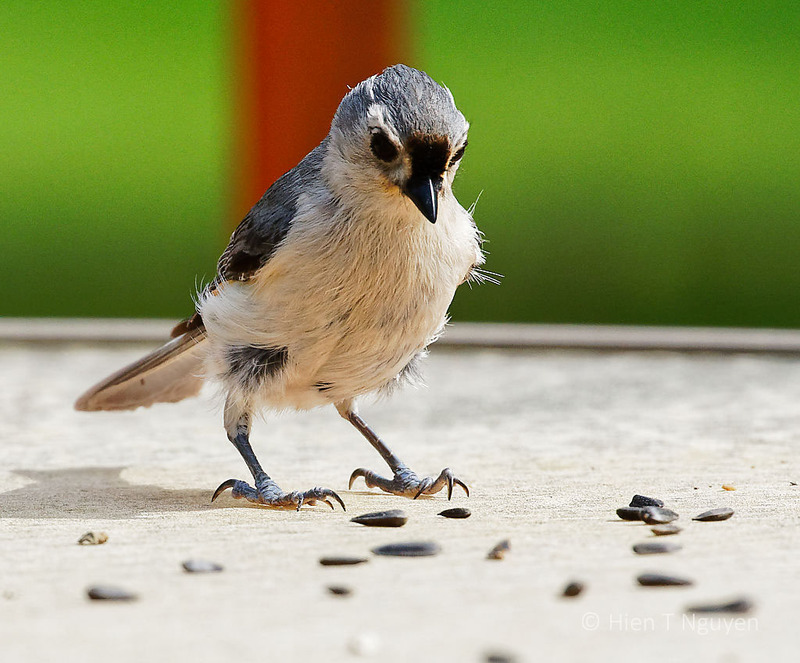 I took me a second to recognize this Titmouse with it’s tuft down and thinking so hard about which seed will be best, well captured! It must have used some of that feather gel stuff. Thanks, John! A delightful dilemma for the bird! How are you feeling, Hien? This little guy is a cutie! Much better, thank you Lois!